This will either be private space exploration’s finest moment or its greatest tragedy. 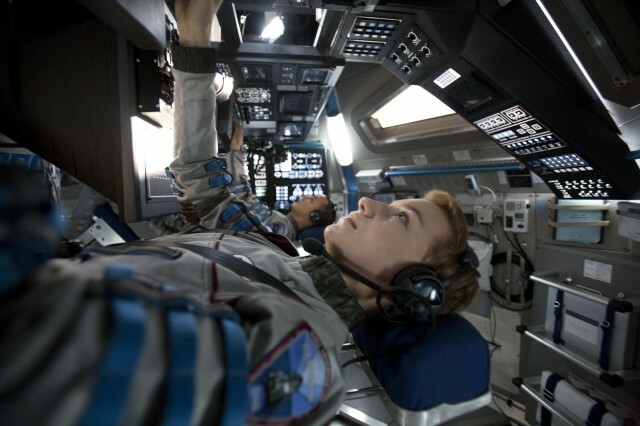 For the six intrepid astronauts in question, it will either be first contact or bust in Sebastián Cordero’s Europa Report (trailer here), which opens this Friday in New York. It is in fact theoretically possible Europa’s subterranean oceans could sustain microscopic life. With that fact in mind, a private foundation sends forth a manned expedition to survey and report. Unfortunately, communications were lost en route to Jupiter, until a sudden transmission was received out of the blue. Of course, that will be our movie. Initially, it seems the Europa mission is merely beset by a series of technical problems and human mistakes. Clearly, there is no margin for error in the cold vacuum of space. Yet, Cordero manages to subtly suggest there might be some other factor at play. Despite damage to the ship and fatalities to the crew, the survivors resolve to continue on, because mankind may never get this far again. Arguably, most of Report is much more closely akin to Apollo 13 than Ridley Scott’s Alien and its subsequent imitators. However, Philip Gelatt’s screenplay pushes in all its genre chips in the jaw-dropping closing seconds that will resonate profoundly with readers of a certain American author of the weird and fantastic. Essentially, Report operates on the premise that all scientific pursuit is heroic, even when it is also strange and scary. Cordero and Gelatt seriously address themes of courage and sacrifice, which adds surprising substance to the film, like a Roddenberry script written amid a bout of depression. Cordero also nicely exploits the austere, claustrophobic setting for maximum audience unease. As is frequently the case with found footage films, there is not a lot of opportunity for old fashioned character development in Report. Nonetheless, the Europa crew look and act like convincing astronauts. HK movie-star Daniel Wu has a suitably authoritative presence as the mission commander William Xu, while accomplished Romanian actress Anamaria Marinca (probably best known for 4 Months 3 Weeks 2 Days) projects a natural sensitivity and perceptiveness as Rosa Dasque, the co-pilot and archivist. However, Dragon Tattoo’s Michael Nyqvist lays on the Slavic accent with conspicuous thickness as engineer Andrei Blok. 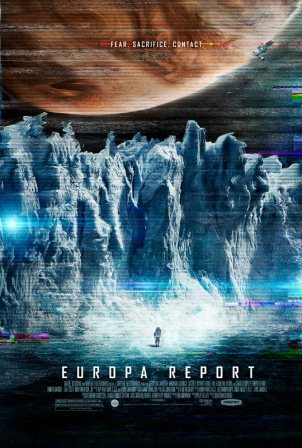 To its credit, Europa Report is visually far more impressive than one would expect, given its budget constraints and found footage conceit. In fact, it is a surprisingly effective hybrid of science fiction sub-genres. Recommended for fans of hard science based SF and Wu, Europa Report opens this Friday (8/2) in New York at the Cinema Village.